This Newport knife has an S35-VN steel blade with a black DLC finish. 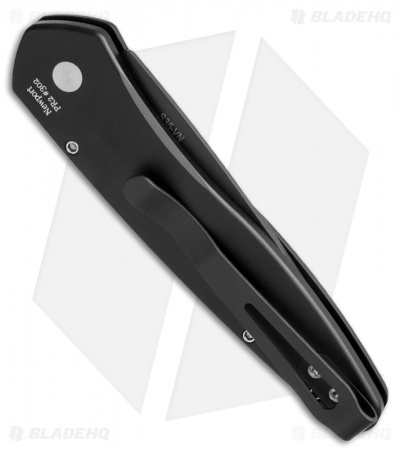 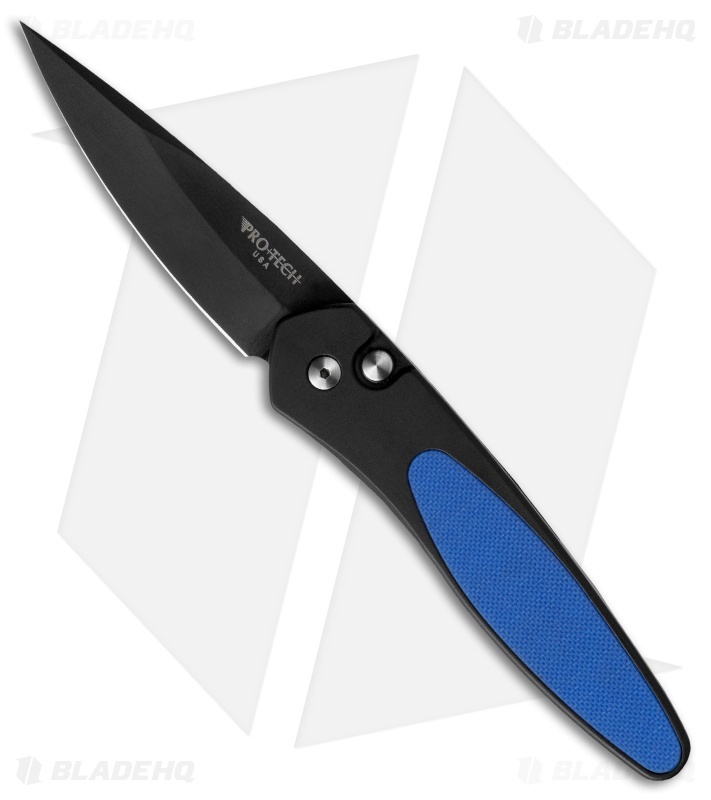 The black anodized aluminum handle features a blue G-10 inlay. Satin hardware and a black tip-up carry pocket clip.